The Spring Scenery of Senbon Yenmado Buddhist Temple, With Cherry Blossoms along in the Traditional Footpath, Ancient Main Hall, Lantern, Bell Tower and Murasaki Shikibu Japanese pagoda is composed the old Japanese Elegance style. The Night Cherry Blossoms blizzard (Sakula fubuki) is Petals falling Technology . The world's first used in Senbon Yenmado Buddhist Temple. 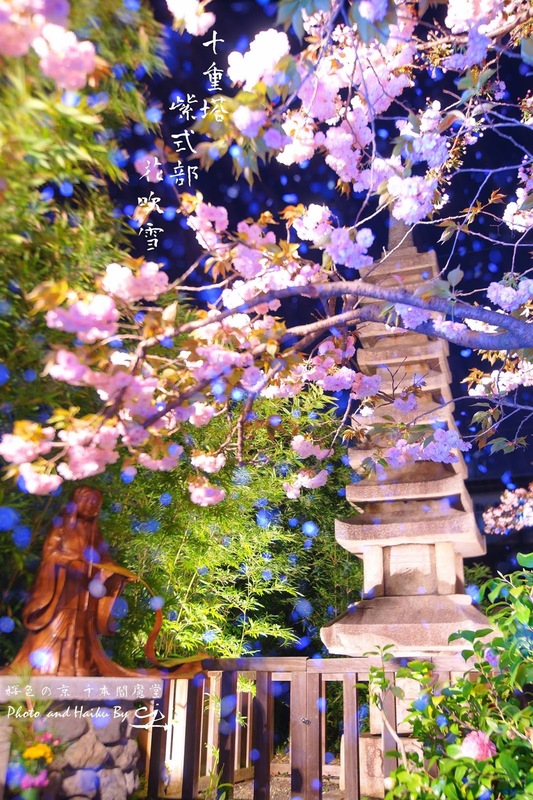 Cherry blossoms petals floating while the night with Bell Tower and Murasaki Shikibu Japanese pagoda is composed the Japanese Elegance style.